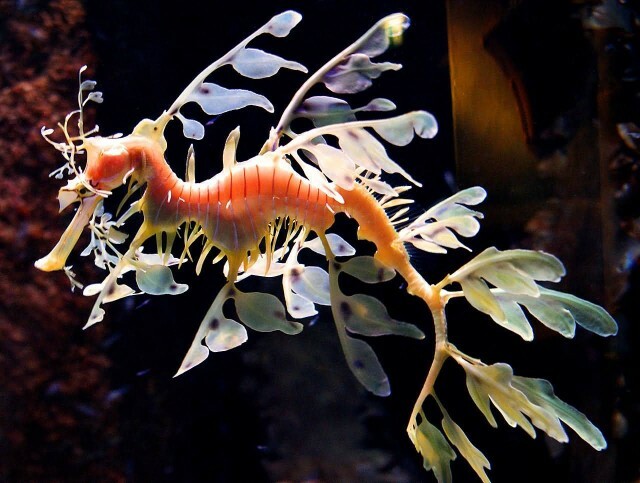 The leafy sea dragon or Glauert’s sea dragon is a marine fish in the family Syngnathidae which includes sea dragons, pipe fish and seahorses. It is found along the southern and western coasts of Australia. Leafy Sea Dragon much look like seahorse. They are slightly larger than most seahorses. 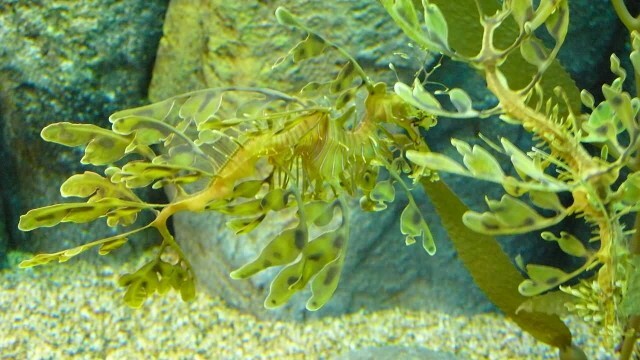 The length of leaf sea dragon is 20–24 cm. They feed on plankton and small crustaceans. The lobes of skin that grow on the leafy sea dragon provide camouflage. 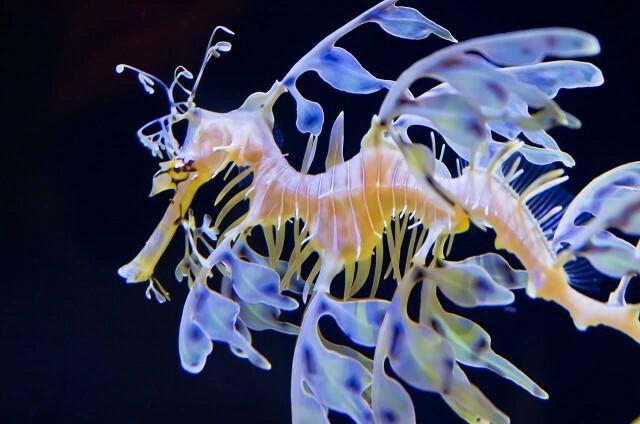 It can also change colour to blend in, but this ability depends on the sea dragon’s diet, age, location and stress level. The female produces up to 250 bright pink eggs at a time. 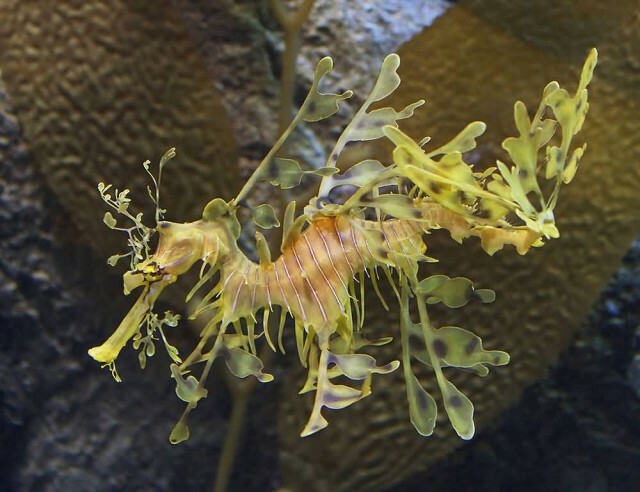 The leafy sea dragon uses the fins along the side of its head to allow it to steer and turn.